We’re all prone to overthinking things too much. Despite it being part of my job, I often find myself doing this when going out to eat. I’ve been reminded recently how dining out on a whim can be far more enjoyable. Recent meals at Evelyn’s Table, the Cleveland Arms and Hām were all rather last-minute affairs – not leaving much opportunity to Google any restaurant reviews, research chefs and restaurateurs' backgrounds and essentially overthink the meal. Instead it was all about simply turning up to break bread with friends and have a jolly time – at which I thoroughly did at all three of the new restaurants mentioned. 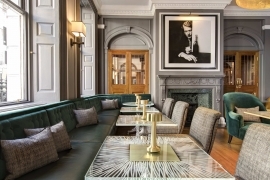 Albemarle Street gets another reason to visit with the relaunch of the Donovan Bar in Brown’s Hotel. There’s a classy combination of contributors behind the new offer: an Olga Polizzi interior, Terence Donovan photographs and a new drinks menu by Salvatore Calabrese. There are eight seats up at the bar, the room holds up to 100 and CODE particularly likes the sound of the ‘naughty corner’, which seats 12. Next month sees the launch of a new ‘modern British’ brasserie at White City Place. 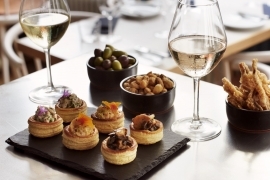 From smoked mackerel at breakfast through to veal Holstein, bavette and chips, and cute vol au vent snacks, the ex-Dabbous chef team of Ross Gibbens and Michael Kennedy have created a very appealing menu. This opening means the Wellbourne Group adds a third site to its existing ones in Bristol and Spain. 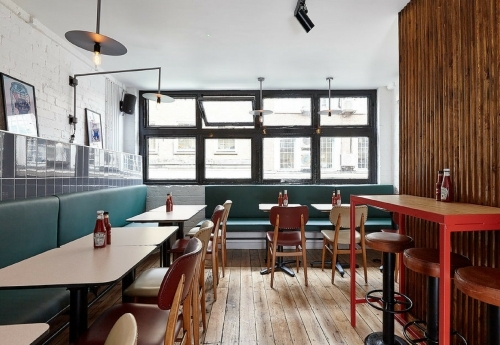 Brewer Street should brace itself: next Monday there could be a riot as diners try to get into the diminutive Kiln restaurant for a killer collaboration. For one night only, Kiln’s chef is joined by teams from P. Franco and Som Saa for a larb menu. Those who get in can expect various iterations of the eastern Thai dish for a £45 flat fee, and three glasses of wines chosen by P. Franco’s Phil Bracey. While we’re on the subject of collaborations, what about fried chicken and whisky? From next week, and for a £25 fixed price, diners can get bespoke Asian whisky drinks and BAO Fitzrovia’s own famed fried chicken – this is the first in a series of Monday night suppers that sound dangerously addictive. To launch your own pasta restaurant, having worked at Locanda Locatelli counts as pretty good preparation. Chef Louis Korovilas (previously experienced at Pied à Terre too) will be offering seasonal arancini and a variety of slow-cooked ragùs, including lamb neck and kid goat, with prices around £9-£12 mark. Bancone opens on William IV Street, off the Strand, at the beginning of May. Those lighter evenings and faintly raised temperatures are something to celebrate. And The Prince, the eating and drinking hub at West Brompton, has had a revamp ready for spring, opening 12 April. There are still three bars (and London’s biggest pub garden), plus returning restaurants Begging Bowl and Patty & Bun. Joining the site for 2018 are Coqfighter (fried chicken) and Foley’s Bar & Yakitori Grill. From today, those who pass through Mayfair’s Shepherd Market have a new all-day venue at which to grab a bite, either to eat in or take away, with top-speed service promised. Titu has unusual dishes like green tea pancakes and tonka bean beignets as well as various gyozas, salads and fried snacks. Chef Jeff Tyler was previously at the Novikov group. 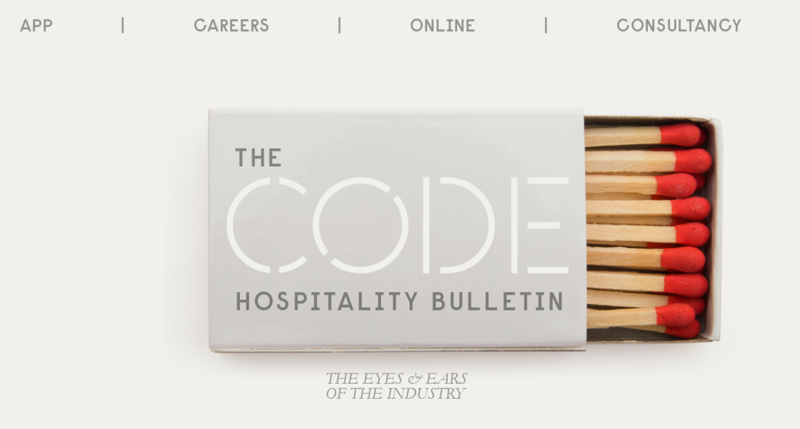 CODE likes to keep up with what operators are developing in other countries, and there’s been a flurry of announcements over the last few days. 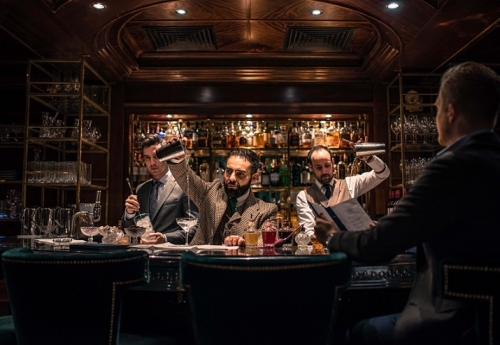 As well as a third Dinner by Heston Blumenthal – this time in Dubai – there’s also Coya going to Monte Carlo, and a new Paris outpost for the admirable Refettorio by Massimo Bottura. Hot on the heels of her arrival at The Guardian as restaurant critic, Grace Dent has set up a food-events company with Kate McKenzie. 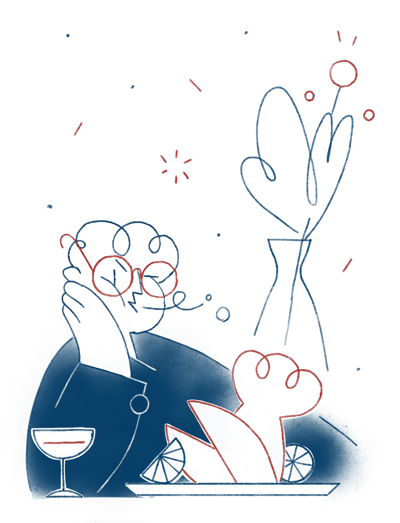 The pair worked together last year on the Evening Standard Food Month and will bring an editorial/commercial combination to talks, markets and festivals. The first Dent & McKenzie presentation is on 7 April, in Deptford. More details here. 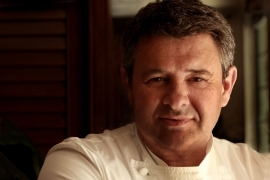 May sees the arrival of chef Laurent Tourondel to the Hotel Café Royal – to launch a new restaurant in the refurbished site. Tourondel, who got his start in London (at Boodles) and who now has several restaurants around the world, will have plenty to play with in the 110-cover space, which will include an open kitchen, grill and sushi bar, all designed by the acclaimed Piero Lissoni. We’re looking for an experienced, creative, and motivated Sous Chef to join our happy kitchen. You'll work with the finest seasonal ingredients, with creative freedom to develop new dishes for our daily changing menu. You’ll run services, oversee all sections of the kitchen, brief FOH, and help develop junior team members. You’ll also have the unique opportunity to work with our butchers who source meat direct from small UK farms, and with our shop/cafe team. 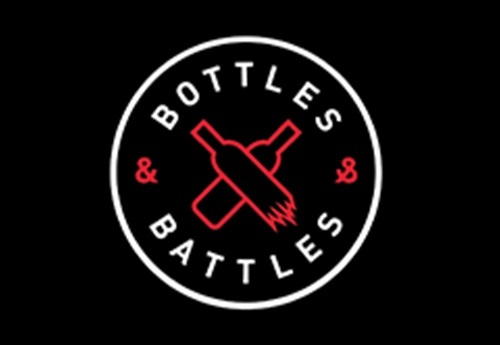 Bottles and Battles are an ambitious independent company, opening a second site in Old Spitalfields Market at the end of April. Serving outstanding simple Italian food, with quality produce. You will head up a small team and will organise the kitchen rotas, prep, orders and service, food hygiene and health and safety. Delivering consistently with passion and flair as well as controlling wage and food costs, ensuring all are in line with company targets. In typical style, the industry celebrated St Patrick’s Day this year across town. The great and good gathered at Richard Corrigan’s Mayfair restaurant for oysters and Guinness on Friday morning while across town on Sunday, it was a proper good craic at The Dairy, who were also celebrating their 5th anniversary. One of London’s favourite landlords (and diddly hosts) Oisin Rogers, featured in the ES Mag in a fetching Fendi suit and Hot Dinners published their annual Murphia list. Sláinte. Gymkhana seems to have become the modern-day San Lorenzo. Last Saturday Oprah Winfrey and Reese Witherspoon had dinner there together while they were visiting London. The Dumbwaiter noticed on Monday that David and Brooklyn Beckham popped in for lunch to the Michelin-starred Indian restaurant on Albemarle Street. The Dumbwaiter goes slightly X-rated this week. While dining in Sophie’s in Soho over the weekend, he was shown the original ceiling that the steakhouse has kept from when the space was an adult cinema. Over in Shoreditch at Brat, you can see on the original wooden floor where the pole dancing stage was. Oooh, matron. From South Pool to Shoreditch. Click here to read The Dumbwaiter’s best bites of the week.